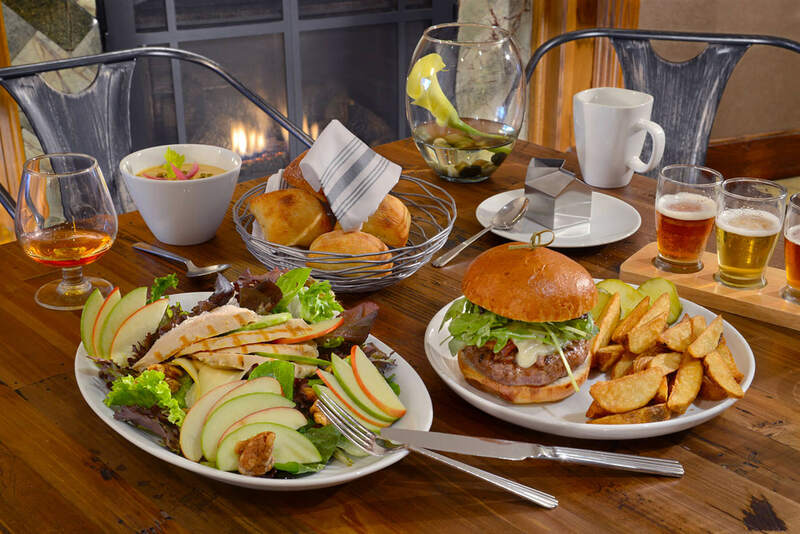 The Kensington Hotel is proud to boast one of the most unique dining options in the Ann Arbor area: rel·ish. Featuring historical classics blended with the freshest ingredients, our passion and commitment is to bring you good food created with fresh seasonal ingredients, every meal, every time. Our dishes borrow inspiration from many different cuisines, while still creating delicious, approachable takes on American classics that comfort diners as they surprise them. Our creativity also extends to our bar, which features a wide selections of innovative, had-crafted cocktails, in addition Michigan craft beers and spirits and a thoughtfully compiled wine list. rel·ish is the perfect spot to reconnect and refresh during your stay with The Kensington Hotel. We're sure you'll rel·ish your time with us. Our goal at rel·ish is to find a balance between familiar American classics and the exciting surprise of trying something unique. Consequently, our menu is influenced by both American culinary traditions as well as other types of cuisine. In creating our menu, we only use the freshest ingredients. Wake up and start your day right with breakfast at rel·ish. Along with traditional favorites we offer a Farm Breakfast and our take on Eggs Benedict. We offer a variety of salads and sandwiches for lunch. the rel·ish summer salad is one of our most popular items. We also have a large selection of sandwiches, including burgers and a Salmon BLT. Dinner guests can start their meal with a selection of tasty appetizers, including Duck Fat Fries and Shrimp Basquais. For your entree, choices include Apple-Balsamic Pork Chop, Scallop Fettuccine, rel·ish BBQ Ribs, Free Range Roasted Chicken or Gluten Free and Vegetarian Smoked Sweet Potato. For happy hour and beyond our bar menu features a selection of appetizers including nachos and chicken wings. For those looking for something a little more filling we also offer a selection of our sandwiches including Build Your Own Burger. Enjoy weekend brunch with family and friends at rel·ish. Along with traditional favorites we offer bottomless Bloody Mary's and Mimosas.